The video shows Subedar Arun Singh and Madhya Pradesh Congress secretary Akhilesh Jain 'Gopi' arguing over broken traffic rules. 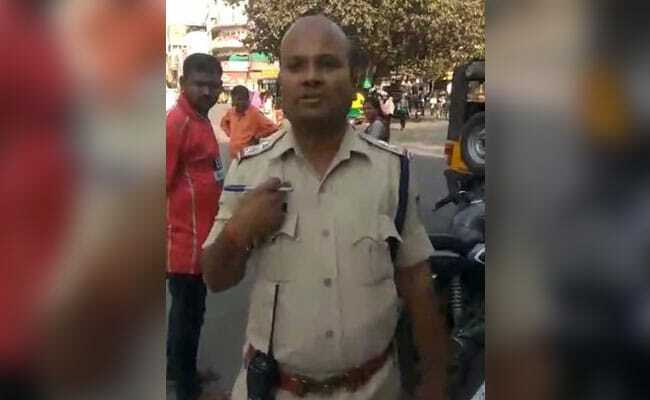 A video of a traffic policeman arguing with a politician over traffic violations went viral on social media on Tuesday in Indore's Rajwada. However, his "daring" act landed him in a week-long session on "stress management". The policeman says even if he is threatened in the name of state Home Minister Bala Bachchan, he would continue to penalise those breaking traffic rules. "My name is Subedar Arun Singh. 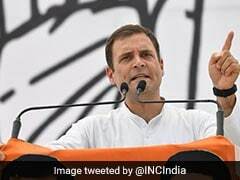 I won't get scared by threats of the Congress government. I will make a challan on anyone who breaks traffic rules," he is seen saying in the video. Instead of praise, penalties came the policeman's way. Calling it an "out of proportion reaction", senior superintendent of Police Ruchi Vardhan Mishra said, "This is not a punishment. I spoke to Subedar Arun Singh, what I could feel because of long duty hours, one on one interaction with people they get stressed out, but what came out yesterday was a bit out of proportion reaction. Might be he is stressed. I am sure Mr Singh would get some relief through this training session." Subedar Singh had caught a man talking on his mobile phone while riding on his two-wheeler in Rajwada area on Tuesday evening. The man called up Akhilesh Jain, who rushed to the spot, and entered into a heated argument with the policeman.